Spring is such an exciting time for garden lovers everywhere! We get the itch to try new plants and buy more of the ones we have and love. 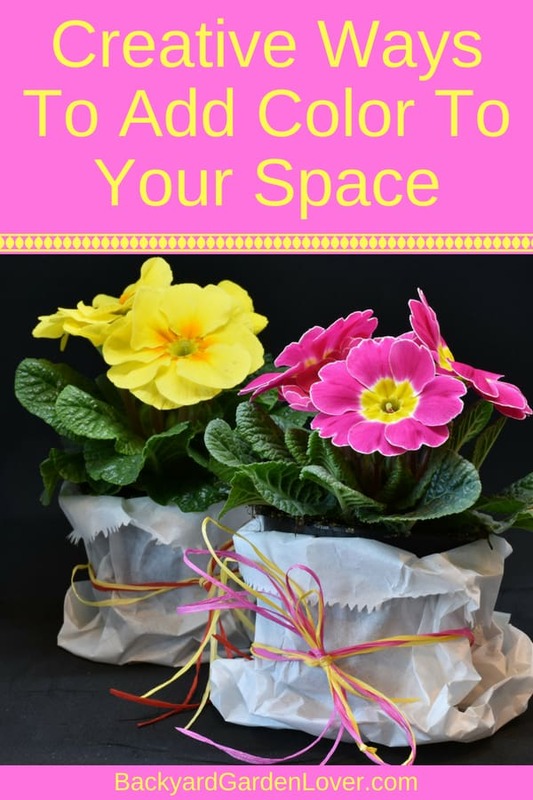 While planting flowers in a garden is exciting and gratifying, many don’t have the luxury of space. 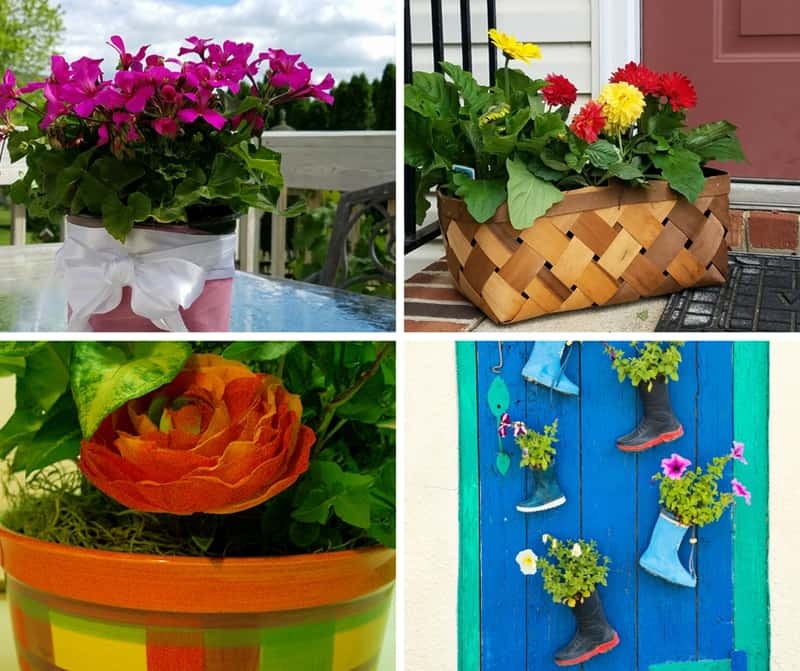 Here are some creative flower pot ideas that will add color to your space and bring happy colors to your home! Sponsored post: this post is sponsored by Monrovia, but the content and opinions expressed here are my own. My front yard is filled with lots of colorful and fragrant flowers, and I LOVE coming home to be greeted by such beauty. 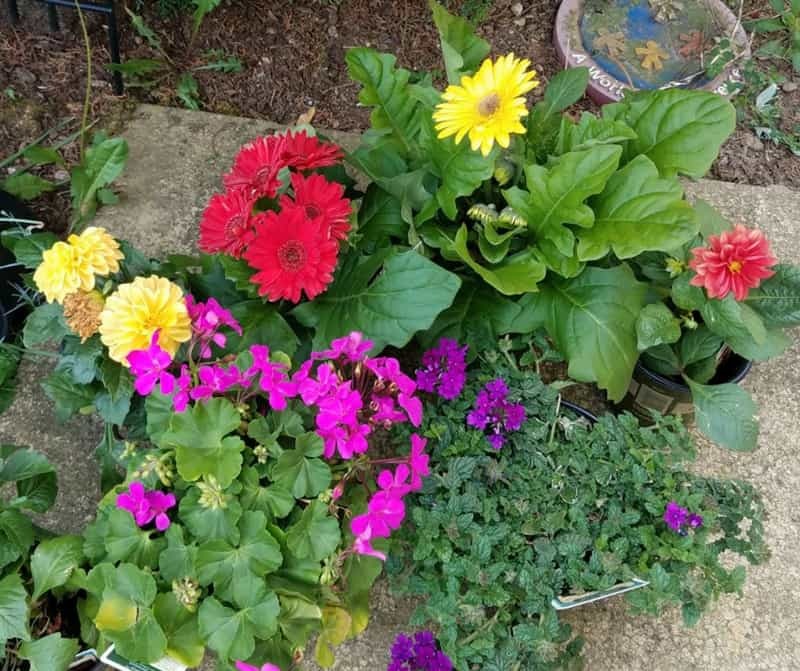 I bought several Monrovia flowers from Lowe’s last month to add more color to my landscape. Monrovia flowers are of great quality and healthy, making it easy to enjoy them for many years to come. 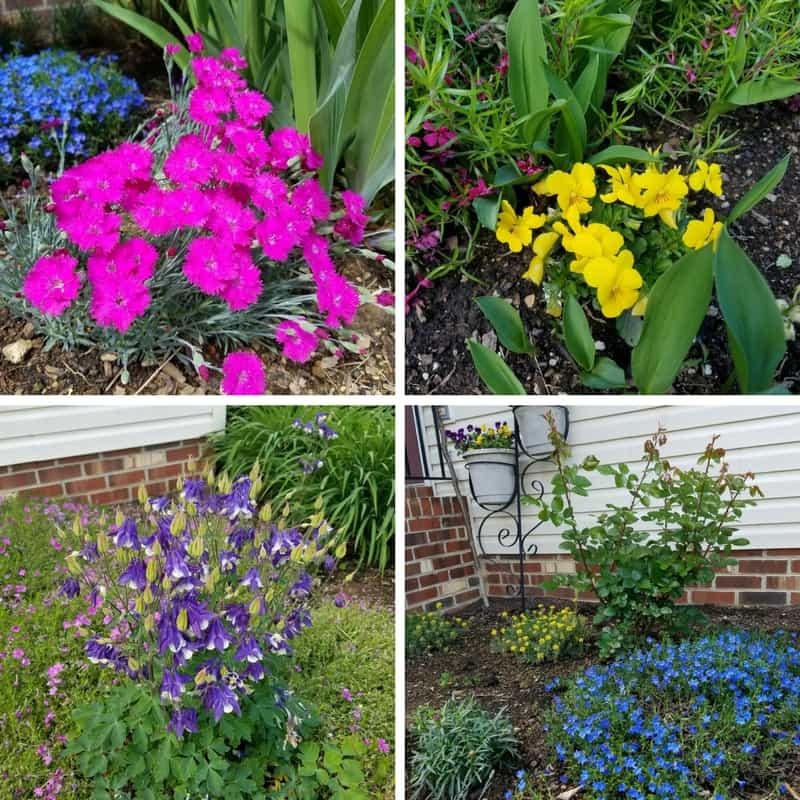 The flowers I planted last month were a great addition to my front yard and they are growing beautifully. Adding color to your outdoor space doesn’t have to be hard. 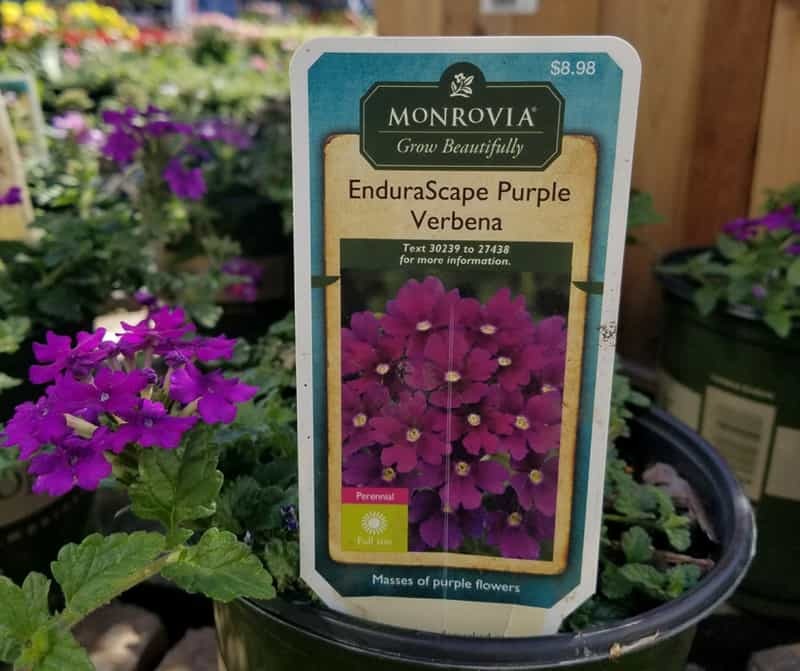 You can find lots of gorgeous Monrovia plants at your local Lowe’s store and then just need to find some nice pots to display your flowers in. After buying my flowers a few days ago, it rained every day until today. So, I left them by my front door so I can enjoy them even before finding a good way to display them. Since I’ve been waiting for a few days (which seemed like an eternity!) to add some color to my front door, I wanted something quick and simple. I looked around in my garage and found a market basket we bought with veggies from the farmer’s market. It was perfect for displaying my flowers. 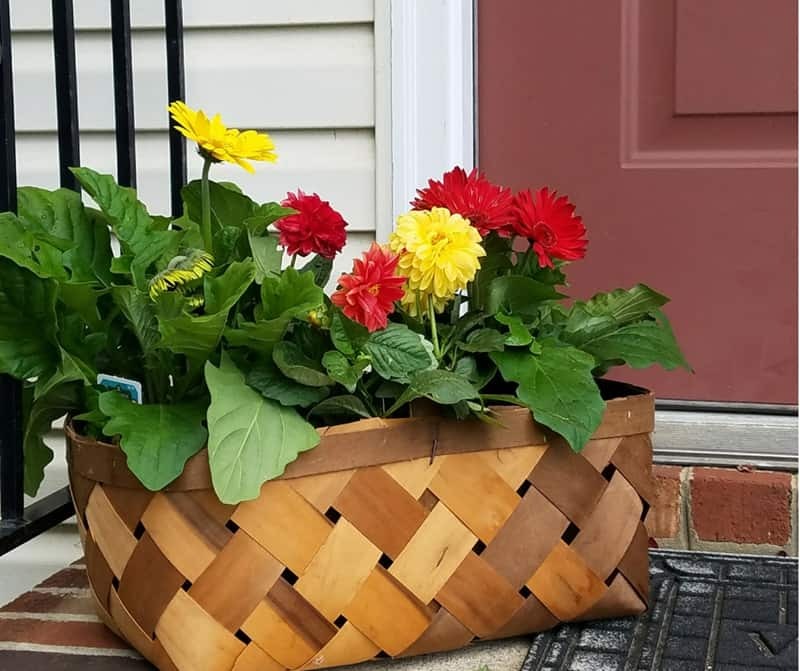 I had a couple Royal Gerbera Daisy and a couple Dahlias: they worked so well together!!! All I had to so was to drop the plants right in the basket in the containers I bought them in. We recently got a second hand outdoor table set and I’m eager to get out there and enjoy it. Since I had a couple more plants from Monrovia, I decided to ad a bit of color to my outdoor table. Again, I looked for a simple way to create an outdoor table centerpiece that doesn’t take too long, but looks great. I bought a hot pink Caliente Geranium: it’s the first time I saw a hot pink Geranium and I HAD to have it! I looked din my craft stash and found some pink tulle I’ve had for about 15 years, and a white satin ribbon I saved form a gift I got in the past. Bingo! 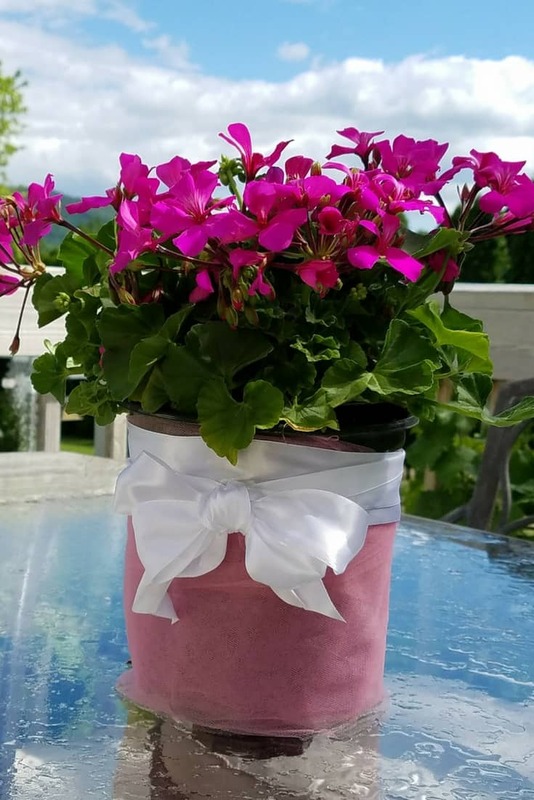 I just found my outdoor centerpiece idea: I’ll wrap the Geranium post in tulle and finish it off with a bow. So pretty and girly! Completely changes the mood at the outdoor table. It literally took me less than 10 minutes to find my supplies and finish this little project. As you can see, my outdoor table is still wet from the rain: the sun came out just enough to take a few pictures. You can use any fabric for this: use some burlap fabric and some rope for a more rustic look, or a hot pink fabric to match the flowers. Let your imagination run wild with this and see what you come up with. Share your pictures here or on the Facebook page if you decide to use this idea! Do you have some old shoes? Or maybe you want to buy some specially for this project. How about a high heel shoe planter? That would be a fun one to do! Here’s an example to get your imagination going! I have one more plant I bought last week that I haven’t planted yet: it’s called EnduraScape Purple Verbena, and it’s gorgeous! I just need to find the right spot for it. I’m thinking it might be a great addition to my work area. Hmmm… maybe I’ll do that. I’ll find a nice paper to cover the pot and a pretty plate to seat it on. I’ll come back with a picture once I have it here, by my computer. Hope you’re inspired to add some colorful Monrovia flowers to your space and enjoy it! These are gorgeous! Love the shoe idea too–I might have to give that one a shot and pray that everything lives this summer. I love using unique containers for plants and flowers. 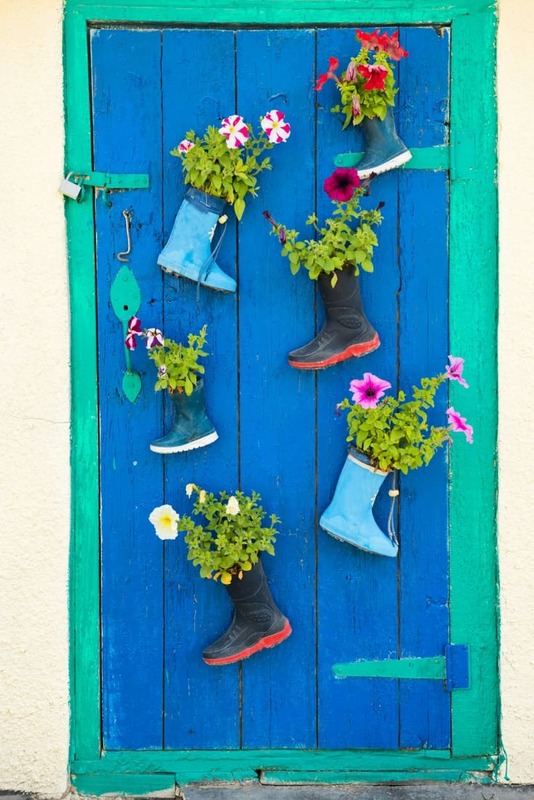 The shoe flower planter is fabulous!